You know those badges that appear on websites that validate the sites authenticity and trustworthiness? I think it would be great if a private company could sell badges for books, blogs, etc. that indicate whether they are logically sound and free of fallacies. 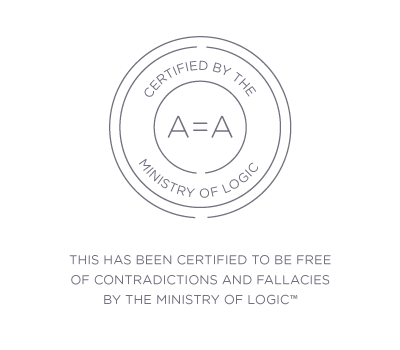 I would be more likely to buy a book if it was certified to be logically sound. Or wouldn't it be great if we could design software that read books and articles and blogs and could indicate whether they contain formal or informal fallacies‽ That would be an awesome filtering mechanism for information! I want a little icon on google that filters out all information websites that contained any contradictions or fallacies. That would save me a lot of grueling effort needed to sort through what is worth reading and what is not. Or maybe in the future writers could use the software/service to check their own ideas.